There are two amazingly simple infinite coin farming methods available in Mario Kart 8 Deluxe. Whether you want coins fast, or want to earn coins AFK, check out these simple MK8 tricks for the Switch. Plenty of awesome stuff is unlocked at the start of Mario Kart 8 Deluxe, but you'll still have to earn kart parts with coins. At certain coin thresholds, you'll unlock new parts -- and the final items require a whole load of points. It can take weeks of normal play to get everything. Or, you can use one (or both!) of these coin farming methods to earn it all. They're both simple -- but these tricks won't work on the WiiU version. These are Switch exclusive farming tricks. Check out even more Mario Kart 8 news on The Escapist, and learn how to unlock Golden Mario right here. There are two major methods for earning tons of coins in Mario Kart 8 Deluxe. One involves the auto-driving feature that's automatically activated when you first start racing. The second trick is all about Battle Mode. Depending on how much effort you want to put into your coin earning, one of these tricks should work pretty well for you. One trick is AFK, while the other requires your constant attention -- but you'll earn coins a whole lot faster. The first method comes from Youtuber Nintendo Life. Using this trick, you can easily farm tons of coins totally AFK -- you won't need to touch the controller after the race is started. 2. Choose "VS Race" -- only Player 1 / 2 are racing. 3. Use both Joy-Cons here. Split them for two players, and select your characters. Mario / Luigi or other starter characters are best for this method. 4. On the Kart selection menu, press [+/-] and make sure the auto-control options are activated. Enable both Smart Steering and Automatic Acceleration. 5. In "Race Setting" -- 200CC, No Teams, No Items, No CPU, 48 Races. 6. Select Moo Moo Meadows and begin the race! Your 1P and 2P racers will complete the race without any input, collecting coins as they go. You can only collect up to 10 coins per race. When the race ends, re-select the course and send your auto-racers to grab coins again. That's all it takes! It's a slow method, but you'll get lots of coins with very little effort. If the auto-driving trick is too slow for you, and you don't mind getting your hands dirty, here's a different sort of farming method. Instead of racing, we'll enter Battle Mode. This trick was shared by Youtuber GameXplain, and promises to earn 10 coins per minute. That's quite a bit faster than the previous method. 3. Like the previous method, use both Switch Joy-Cons here. One for each player. 4. No loadout or character planning here. Pick your favorite, and don't bother activating any of the automatic settings. 6. Select Battle Course 1 and begin farming. You don't need to control both players! Only use 1P. Collect 10 coins, wait for the timer, and repeat. You'll be able to earn 10 coins every minute using this method. This is, currently, the fastest method we know of so far to collect coin. It's very active, so you can't just AFK, and there's no reason for 2P to join in -- the coins they collect won't count! 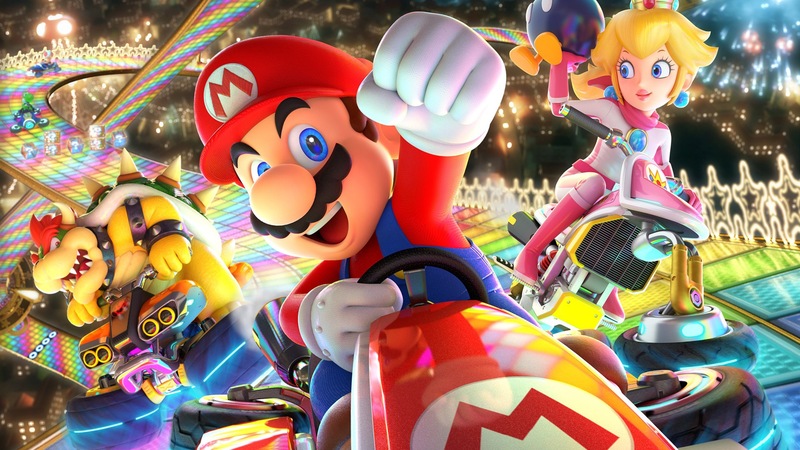 Got your own tips and tricks for Mario Kart 8 Deluxe? Sound off in the comments!